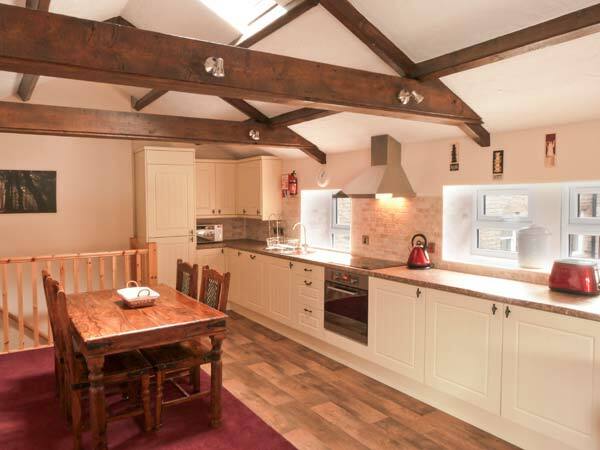 Anvil Barn in BAINBRIDGE - This semi-detached cottage situated in the village of Bainbridge, near Hawes sleeps four people in two bedrooms. 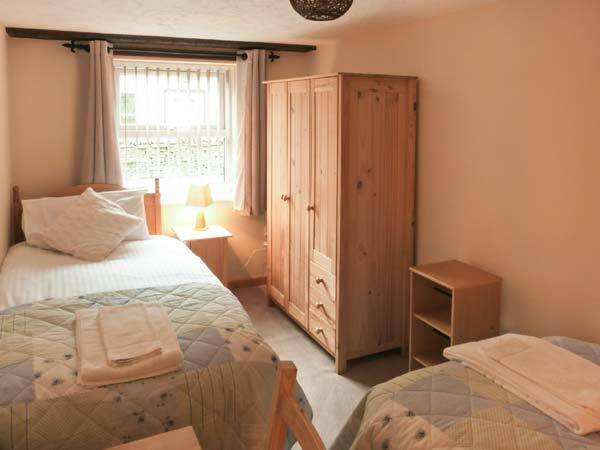 Two ground floor bedrooms: 1 x double, 1 x twin. Ground floor bathroom with bath, separate shower, basin and WC. First floor open plan living area with kitchen, dining area and sitting area. 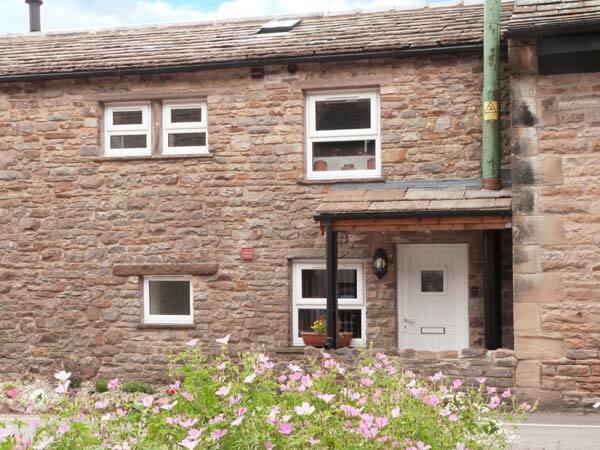 This semi-detached cottage situated in the village of Bainbridge, near Hawes sleeps four people in two bedrooms. 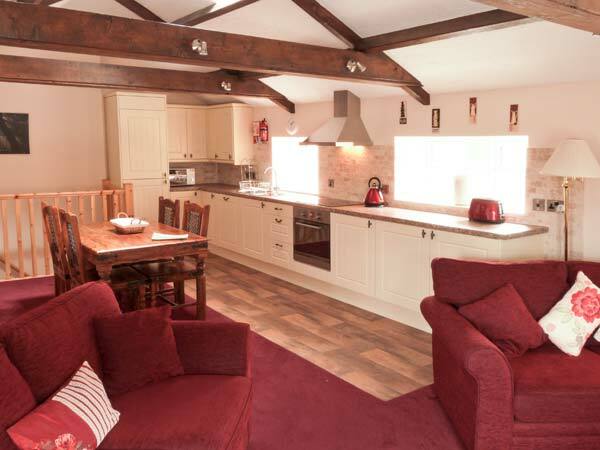 Anvil Barn is a wonderful semi-detached, stone-built cottage located in the village of Bainbridge, four miles from Hawes in the Yorkshire Dales Natonal Park. 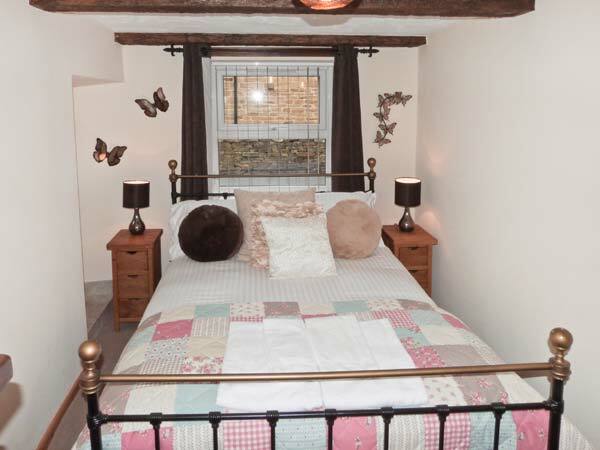 This cottage sleeps four people in two ground floor bedrooms, consisting of one double and one twin, as well as a ground floor bathroom. On the first floor is an open plan living area with kitchen, dining area and sitting area with multi-fuel stove, and outside there's off road parking for one car. 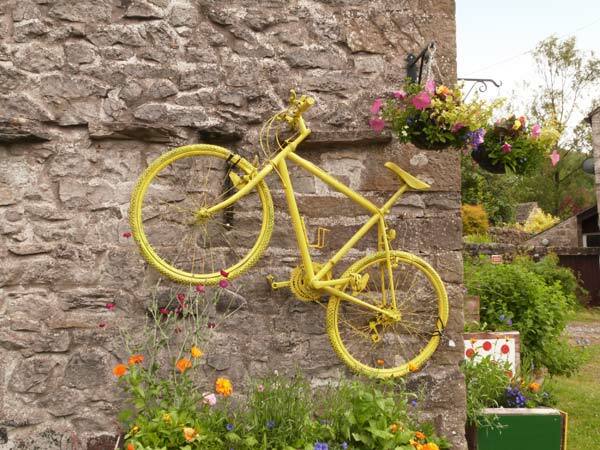 A number of walks and stunning attractions in the area makes Anvil Barn a great place to stay. Electric central heating with multi-fuel stove. Electric oven and hob, microwave, fridge/freezer, washer/dryer, dishwasher, TV with Freeview, DVD, selection of books, games and DVDs. Fuel, power and starter pack for stove inc. in rent. Bed linen and towels inc. in rent. Travel cot and highchair (please bring own cot bedding). Off road parking for 1 car. One well-behaved pet welcome. Sorry, no smoking. 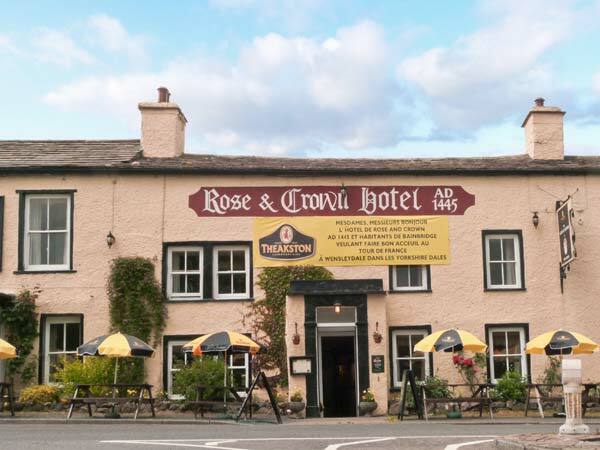 Shop 3 mins walk, pub 5 mins walk. Note: Mobile signal can be poor. Property Feedback:This property was very, very comfortable and very well equipped. The cottage was in a lovely location and we really felt at home throughout our stay. 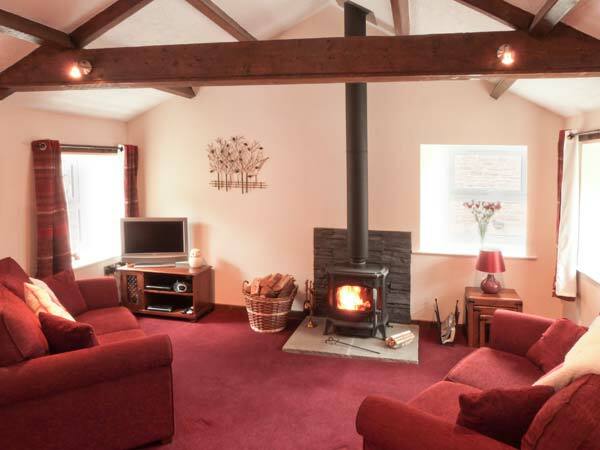 We would love to enjoy the comforts and the log burner in the winter time.